Police have apologised to a woman who was accidentally listed as murdered in the Christchurch terror attack. The mishap occurred when alleged terrorist and white supremacist Brenton Tarrant faced Christchurch District Court on Saturday charged with murder. Australian-born Tarrant, who is expected to be hit with more charges, faced one charge of murdering a woman but her identity was unknown as her name was suppressed by Judge Paul Kellar. The woman was somehow connected to the fatalities but is alive and well. 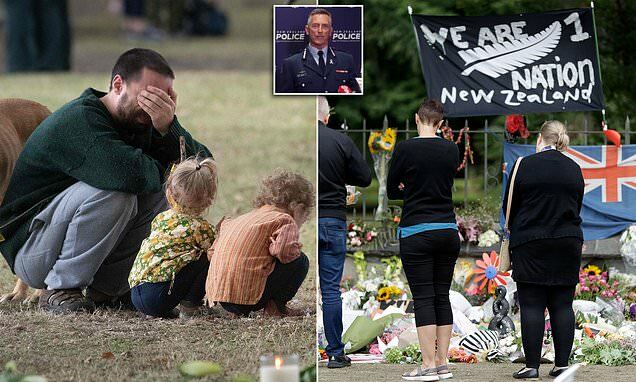 'An error was made in the charging document prepared for the first court appearance of the man charged with murder in relation to the Christchurch terror attacks,' a police spokesperson said. Police said they have spoken with the woman and the charge sheet will be amended. 'We have spoken with the person incorrectly named on the charging document and apologised.